The year moves on and March brings our next guest who hails from Berlin and is a real delight. Thomas Loefke is visiting our country for the next few weeks. A couple of winters ago, he travelled down by train from Auckland and gave us a wonderful concert at the Sutherlands. Be prepared to enter another world and taste the spray of the North Sea – Welcome back, Thomas. "I open the door, a cool wind blows in my face, and the sea smells better than ever. The sky is still grey, but the first rays of the sun are scattering on the horizon. I look forward to the new day..."
Islands in the North Atlantic, like Tory Island - the Irish island of legend and myth, the Hebridean Island of Staffa or the wild archipelago of the Faroe Islands situated between the Shetlands and Iceland, these are the places where Thomas spends a considerable amount of time every year to compose music. Dramatic coastal landscapes, the wide open space of the Atlantic ocean and the ever changing sky reflect in the pieces of music written there. The tunes are accompanied by photographs taken during his travels of the islands. 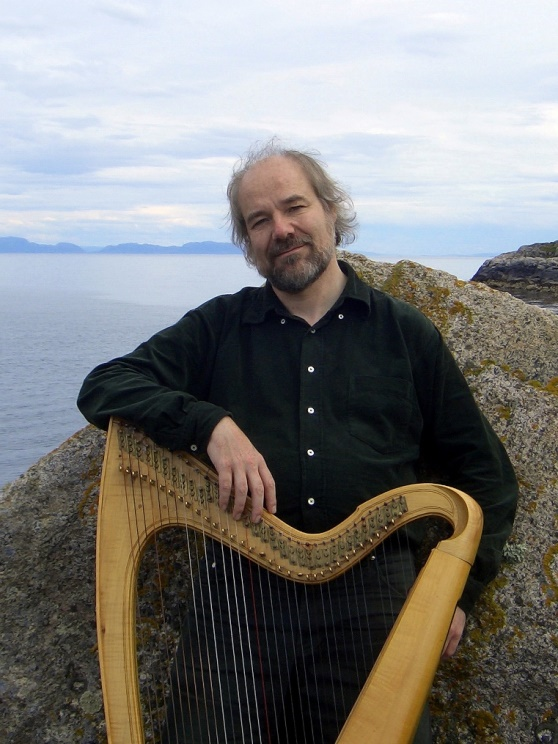 From the sounds of the Celtic Middle Ages, and the lively dances of Irish folk music, to his own original compositions each of Norland Wind harpist Thomas Loefke’s works has its own texture, atmosphere and story to tell." Thomas learnt his trade in Dublin from Ireland's leading harp players - Máire Ní Cháthasaigh, Helen Davies and Áine Ní Dhúill. Since 1984 he has been playing professionally and has won several international prizes, including first prize at the O'Carolan Harp Festival in Keadue. In 1992 he recorded his first album. The musicians appearing on Thomas' 2nd CD, the Celtic Heartbeat/Universal album "Norland Wind", are the artists Thomas has been working together with for years: Scottish guitarist Ian Melrose, singer/guitarist Kerstin Blodig from Berlin, Irish fiddle player Máire Breatnach and Clannad's Noel and Pádraig Duggan. Today much of Thomas' time is spent writing, collaborating and recording. 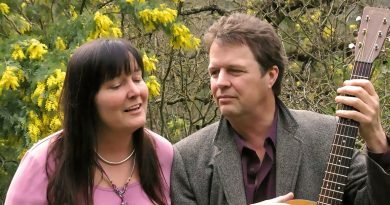 He regularly tours with his band Norland Wind, with Riverdance fiddle player Máire Breatnach, the American cello/guitar-duo Acoustic Eidolon, with Faroese fiddlle player Angelika Nielsen as duo Norðan, pianist Lutz Gerlach, and as a soloist. Thomas Loefke performs his Concert with slideshow at 9pm. Also in our show are 3 acts each offering much in entertainment & diversity. The Salty Hearts is a collaborative, labor of love from the Kapiti coast. 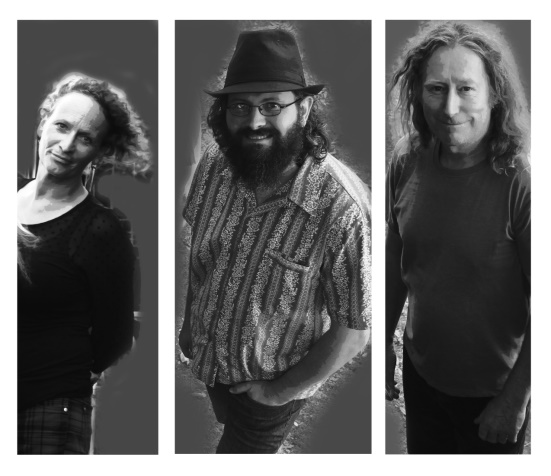 Anje Glindemann, Greg Sayer and Richard Guerin like to mix it up, covering songs from the likes of Don McGlashan, Hello Sailor, some of Greg’s originals and some slightly off center pop songs too. 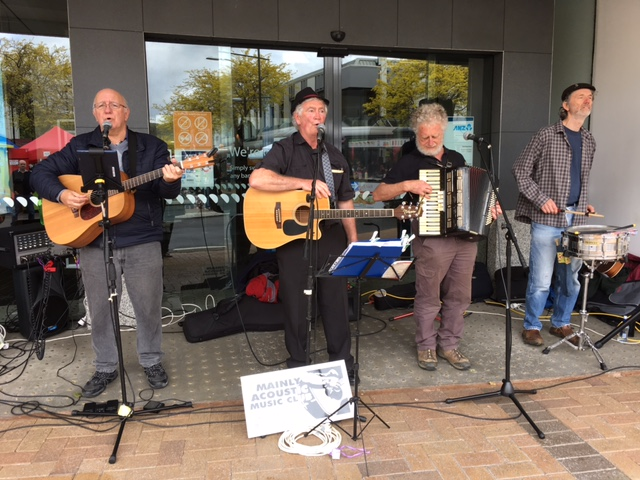 They are joined by latest recruit Dave Allen (not in picture) who has brought his deft guitar skills & mellow voice into the mix with great harmonies and lead vocals too. 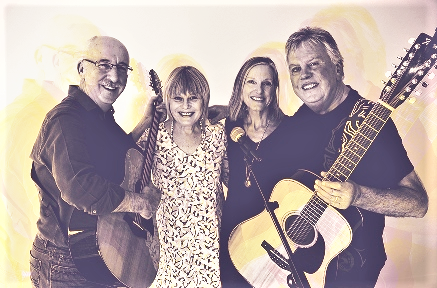 With guitar, mandolin, bass & percussion, these four established and seasoned musicians make a great sound and have a lovely vibe. Don’t be surprised to find your toes tapping to the beat of their drum. 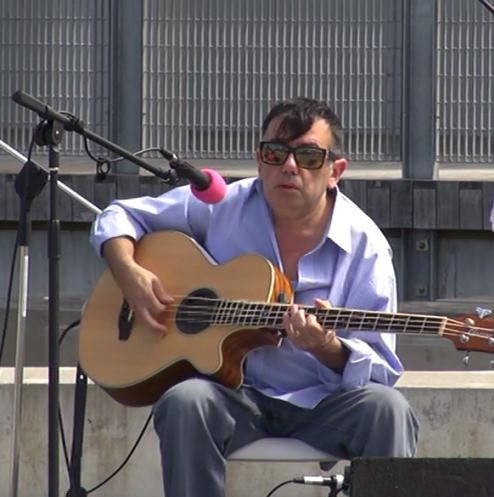 Vince Cabrera is Mainly Acoustic’s bass virtuoso. Alright, he’s not ours really, we’re merely willing and vocal advocates of his skills. As for the bass guitar - He loves it, lives it and plays it with much passion and flair – He makes it shine. Says Vince “My first serious band (as in, band that got out of the garage and played a bunch of gigs) couldn’t find a bass player to complete the lineup. I used to play guitar back then and felt that playing bass was below me, somehow. But hey, we couldn’t find a bass player and guitarists practically grew on trees so I took one for the team and took up the bass. Years later, different band, we decided that we’d do without a guitarist altogether. Barre chords and stuff like that can be played on bass anyway, so it wasn’t a big deal either way. 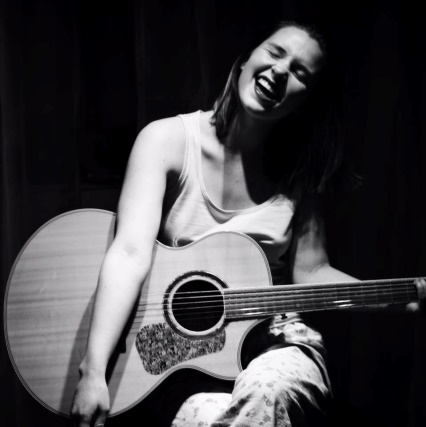 A talented singer songwriter recently down from Auckland, and now living in these parts is Veronica Grace. She’s a winner of several country music awards, has played her songs on TV and is impressing people in the business, who say she’s one to watch. She performed at Trentham Festival a couple of weeks ago and we’re delighted to have her play at the club. So welcome Veronica, we hope this Tuesday’s visit won’t be your last.